리우의 관광 명소 가까이에 위치한 Hotel Monte Castelo는 주거 지역에 자리하고 있으며 무료 Wi-Fi를 갖춘 실용적인 객실을 보유하고 있습니다. 플라멩고 해변과 리오에서 가장 큰 공공 공원인 아테로는 도보로 5분 거리에 있습니다. 객실은 실내 욕실과 업무용 책상을 갖추고 있습니다. 또한 객실에는 케이블 TV, 미니바, 전화기도 마련되어 있으며 에어컨 또는 선풍기가 구비되어 있습니다. Hotel Monte Castelo의 조식에는 열대 과일, 신선한 주스, 롤빵 및 현지식 케이크 등이 포함되어 있습니다. 고객님의 편의를 위해 프런트 데스크는 24시간 운영됩니다. 호텔은 글로리아 지하철역에서 불과 1블록 떨어져 있습니다. 야간 오락거리가 밀집해 있는 라파 지구 및 유쾌한 분위기의 산타 테레사 지역도 가까이에 있습니다. 호텔 인근의 주차장을 이용하실 수 있습니다. 이 호텔은 체크인 전 신용카드를 사전 승인할 권리를 보유합니다. The staff here are just wonderful.. So friendly and helpful. Positives were: location was in a safe neighbourhood and 5 minutes walk to metro; hotel was clean with great air con, wi-fi was usually fine, breakfast was continental, fresh and always quickly replenished by the ladies who worked in the kitchen... The hotel manager ate breakfast there each day so that's a sign of a decent breakfast! ; we had a nice room which was at the end of the corridor on the first basement level - size was perfect, good storage, & cleaned everyday by housekeeping. This place is a bargain for Rio if you get a good deal. Very friendly and English speaking staff always willing to go the extra mile to please the customer. 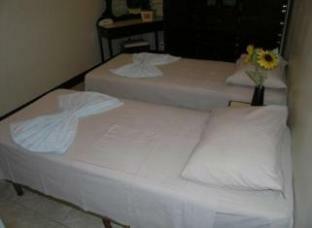 Good location away from overrated Copacabana but close to Lapa with it's vibrant music scene. Our stay was veryu pleasant and we felt that we could ask any question and the staff will deal with it as best as they could. The rooms are superu clean ( nice change after some accommodations in South America). Breakfast was tasty and fresh. Definitely recommend it whether you are solo traveler or looking for a cosy place to stay with your partner. Was an average hotel. Free wifi and close walk to subway. Bathroom way too small. Just the way you want it, no excessive provision yet not at all shortchanged. It fits to every seasoned adventure traveler's criteria. I had booked two classic double rooms, but they give me one triple room. I could not sit on the lower deck bed. My friend had booked one room for two nights. She was not given any room for her. The room arrangement is poor. 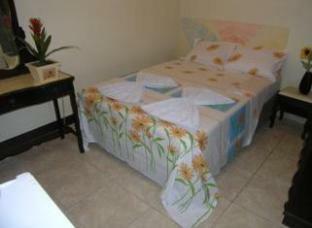 Near to beach, metro and very clean room. It's a good hotel near to metro and beach. The service is good. 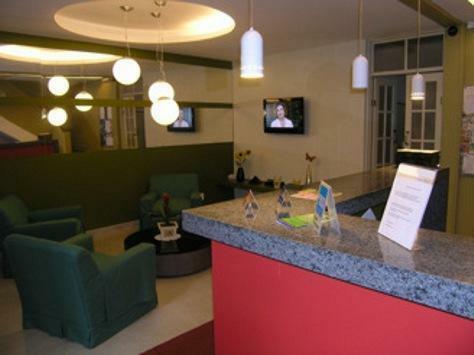 it a small and clean hotel, the staffs is helpful and friendly. There was smell of their towel i think is due to the smell of the dertergent that i dont like. Location is convience. The hotel was very nice, but very small, the rooms were spotless, always clean sheets and towels. The bathroom was extremely small, it was very difficult to get in and out of the shower, also the sliding door leading to the bedroom. The stay would be fine upto, a 3 day stay, but it had really got to me by the end of 7 days. There was absolutely nowhere to put toothbrush shampoos , bathroom stuff, we ended up putting tooth brushes on top of the toilet system, which is just not good enough, no cups for cleaning teeth, or for a drink of water supplied. The hotel staff were lovely and extremely useful, with both english and non-english speaking staff. The room was clean and tidy with adequate facilities including a fridge. The breakfast was substantial. Would definately recommend this, the local nightlife was good fun, with lots to see and do in the local area and access to a metro just down the road. The staff are nice and the room that i had was quite large. The bathroom was a bit small and there was a bit of noise as people closed doors in adjacent rooms. The checkin procedure was quick and easy and the reception staff spoke english.I liked the room that i was in with a large and comfortable bed but as mentiond the bathroom was a bit small. I had just arrived by bus and was a bit tired so the hotel suited me for the night.The area is known as Gloria and there are a couple of small juice bars on the corner but there is not a lot to do otherwise. freundliche rezeptionisten, es wird gut englisch gesprochen, wenn man glück hat findet man auch eine nette dame vor, die auch deutsch spricht. am abreisetag kann man auch nach dem check-out die koffer im hotel stehen lassen und es gibt einen eigenen raum zum "frisch" machen. El hotel no parece realmente un hotel, parece un motel. Esta ubicado en una zona que no la recomiendo para estar en Rio de Janeiro, aunque tenia reserva para 4 noches solo use una y cambié de hotel. La habitación es muy pequeña, huele a cigarillo y creo que algunas personas la utilizan como motel. El hotel es muy pequeño, lo llamaría Posada, pero con mucho encanto. Esta situado al lado de la estación de metro Gloria por lo que hace muy fácil el acceso a cualquier parte de la ciudad. Habitaciones muy sencillas con banios muy pequeños pero suficientemente confortables. El personal muy joven y muy atento, hablan español. El precio es asequible comparado con los hoteles de alrededor. Hotel bem localizado, perto do metro. Quarto pequeno. Бюджетный отель.Удобное расположение.Бесплатный сейф в каждом номере. Отель располагается в полнее безопасном районе в нескольких минутах ходьбы от метро, автобусных остановок, продуктовых магазинов, аптек, банков и банкоматов. Достопримечательности Рио, тоже находятся в шаговой доступности. До остановки, откуда следуют автобусы до статуи Хреста Спасителя можно дойти пешком, любуясь старинными улицами Рио, (15-20 мин), либо доехать на метро (1 станция). Бюджетный отель. Персонал на ресепшене хорошо говорит на английском. Готов помочь в решении любых вопросов. Номера очень маленькие. А таких крохотных туалетов и ванных комнат я еще не видела ни в одном отеле. Дверь в ванную комнату открывается не до конца, т.к. мешает унитаз. Человеку миниатюрному никаких трудов не заставит туда пролезть. А вот человеку с лишним весом следует постараться. В комнатах есть холодильник (маленький), шкафчик с вешалками, но без дверок. Бесплатный сейф в номере с электронным кодом. Есть кондиционер (ноне во всех комнатах) и потолочный вентилятор. Окна в номерах выходят в коридор. В отеле вообще нет комнат с окнами выходящим на улицу. Все номера в отеле располагаются на нижних ярусах. Самый верхний ярус –ресепшн. Завтраки в отеле в полнее приемлемые, я бы даже сказала хорошие. Шведский стол, включающий – чай, кофе, прохладительные напитки, несколько сортов хлеба, сыра, колбасы фруктов и т.д.Я осталась вполне довольна данным отелем. Изначально настораживала низкая цена. По близости есть ресторанчики и кафешки, рассчитанные на местное население и туристов. Мы пару раз обедали и ужинали на Капакабане в Шускарии, у них есть большое преимущество – ты можешь выбирать все что понравилось и есть сколько душе угодно, либо по весу набранной тарелки. В полнее бюджетно. Не во всех ресторанах и кафе Рио есть меню на английском языке. Обязательно возьмите Русско-португальский разговорник. Пригодится, т.к.в Бразилии практически никто не говорит на английском. Приятных путешествий!